Bankruptcy Information | Do I Have to File Bankruptcy with My Spouse? Home > Bankruptcy Basics > Do I Have to File Bankruptcy with My Spouse? 26 Mar Do I Have to File Bankruptcy with My Spouse? While many married couples file bankruptcy jointly, there is no requirement that they do so. You are entitled to file your own, separate, bankruptcy, just as you are entitled to your own credit rating. A joint filing is advisable when both parties are responsible for a significant amount of debt, whether or not the debt is joint. If most of the debt is joint debt, a bankruptcy filing by one spouse will not stop collection attempts–phone calls, letters, or lawsuits–against the non-filing spouse. Even if each spouse has his or her own debt, if both spouses are overextended, a joint filing may save time, trouble, and attorney fees. If one spouse is responsible for most of the debt, and the other spouse has a decent credit record and manageable debt, it may be better for only one to file. Generally, a bankruptcy filing by one spouse should have no effect on the other spouse’s credit rating or assets, as long as there are no joint debts or jointly-held assets. It is crucial to be certain of those facts, and have a plan to deal with joint debt. I have had many clients tell me that they and their spouses have no joint debt, only to find out that there is, indeed, a joint credit card account, or other such debt. Credit card accounts are particularly troublesome, because most people don’t keep copies of the original credit card applications, and credit card company’s records may be incorrect as well. If there is any question at all, especially when both spouses are cardholders, the best approach is to ask the credit card company for a copy of the original application and any applications for additional cards. Another approach is to check your credit report, to determine what is being reported as your account. If an account appears on the credit history that you do not think you are responsible for, you can dispute the accuracy of that information, which requires the creditor to research the matter, and to provide confirmation that the account is yours. Checking these matters out before you make a decision about the necessity of bankruptcy relief will save you money in the long run. If your spouse has already filed bankruptcy, and you have become the target of collection activity on a debt that you don’t feel that you owe, you may want to take similar steps. Requesting proof of your responsibility for the debt is a first step. Don’t assume that the credit card company wouldn’t be dunning you if you weren’t responsible. Just as many people sign for an account when their intention is only to obtain a card (i.e., have the use of a card that someone else is responsible for) it is not unheard of for a cardholder to be erroneously listed as a responsible party in the credit card company’s files. Most lenders rely almost exclusively on computer databases, and that information is only as good as the person doing the data entry. 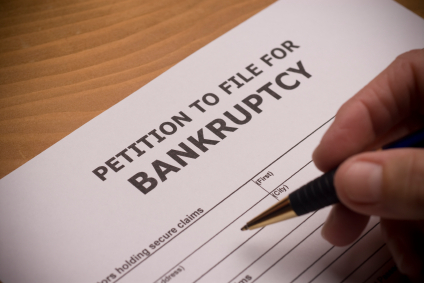 An attorney can help you decide whether you, or you and your spouse, will benefit from a bankruptcy filing.